Somaliland President Ahmed Mohammed Mohamud Silanyo came back from the London Conference on Somalia, where he garnered support for his country’s aspirations and discussed bilateral relations with Somalia. A happy, jovial and beaming President H.E. Ahmed Mohammed Mohamud Silanyo jetted back into the country yesterday at mid-day, with high hopes for the country's future. Accompanied by the First Lady Amina Sh. Mohammed Jirde and FM Hon. Dr. Mohammed Abdillahi Omar, the Head of State was received by the VP H.E. Abdirahman Ismael Saili'i, Cabinet Ministers, Service Commanders, members of both Houses of the National Assemblies Parliament, top civil servants, eminent personalities and enthusiastic patriots. While speaking to the members of the press at the VIP lounge, the President was categorical that the aspirations of the people and the country of Somaliland was a forgone conclusion in which the state has been clear on it. The Head of State termed the London trip in which over 50 countries and top world organizations assembled at the Lancaster House as a great success. He said that the demos in London which was supported to the hilt by Somalilanders in the country and abroad was quite telling and had a great impact on the country's aspirations. He said that apart from giving chronological details of our aspirations, he has tabled to the world community our achievements so far as well as immediate future needs and plans. 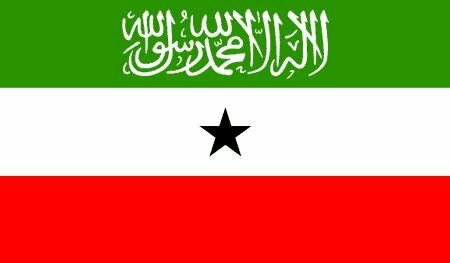 The Head of State clarified the fact that the much talked about "dialogue between Somaliland and Somalia was not one that would discuss about re-union". He underscored the heart of the matter as being that the "talks would focus on good neighborliness as two separate entities (countries)". He said that Somaliland, just as the rest of the international community, wished well for Somalia to be at peace. He underpinned the fact that the success of the trip was indeed overwhelming. H.E. Ahmed Silanyo said the meetings he held with the UK fm William Hague and also with UK minister for International Development were quite fruitful hence the British government has slated and earmarked generous grants and aid to/ and for Somaliland. The President met with no other than the British Premier at his No 10 Downing Street office on the day of the Pro-SL sovereignty demonstrations. Meanwhile the Minister of Foreign Affairs Hon. Dr. Mohammed Abdillahi Omar further explained that apart from talks with the UK officials, the President met with the Turkish, Danish, Hollandese, Swiss and other representatives at the meeting. So, too, did the President meet with the Seychellois President. Apart from the talks on bilateral relations and ways and means of bolstering cooperation between the various countries and Somaliland, the FM disclosed that the Turkish government would send officials to SL for orientation and evaluation of her needs. The President was leading a high powered delegation to the Lancaster House Conference on Somalia which included several cabinet members, MPs from both Houses of the National Assemblies Parliament and eminent Somalilander personalities amongst others.